All websites developed by Focal Point eSolutions get a good internet marketing / search engine optimization start. We perform high-level keyword research. The results of this research is used within the website. We register your site with search engines and start tracking web analytic data as soon as the site is available on the internet. 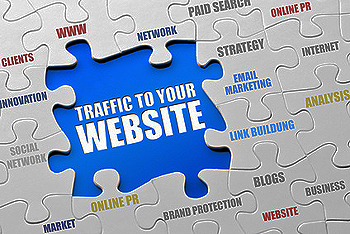 Our standard internet marketing service results in greater, more meaningful traffic to your site. We continue to develop unique and interesting content for your site based upon keyword analysis. Content includes information that helps prospective clients better understand your business and areas of expertise. We love sharing what your company is doing and your customers will like knowing what your company is doing too. We post at least twice a month. New content is the best way to get search engine attention as well as the attention of your customer. More interesting information about your company promotes links to your website from others which further stimulates higher search engine rankings and traffic to your business. We feed your information through your blog to social media sites. Facebook is a must. Twitter is also a great place to inspire business. High energy information about your company, employees, your industry – all plays together to make you interesting and better understood as an industry expert. We also work with you and your employees to make your social media campaigns as effective as possible. If you aren’t setup already, we’ll be happy to create a Facebook page that aligns with your website as part of this package. Email helps too! Why not target your market and get your clients involved with your company? Our email is professional looking to give your company the professional image it should have. We will construct and send one custom email each month to advertise your company and any specials, new products, etc. that might be of interest. We continue to monitor your site to better understand who visits, what they’re looking for, what keywords they entered during their search, etc., to provide insight into the success of your site as well as ways your site might be improved. We talk with you once each quarter to discuss internet marketing successes as well as areas for improvement with refinement of your internet marketing plan. Our Standard Internet Marketing and SEO efforts give your website a great start. Whether Focal Point eSolutions or another company developed your site, we can increase traffic to your site and improve sales performance. Contact us today!